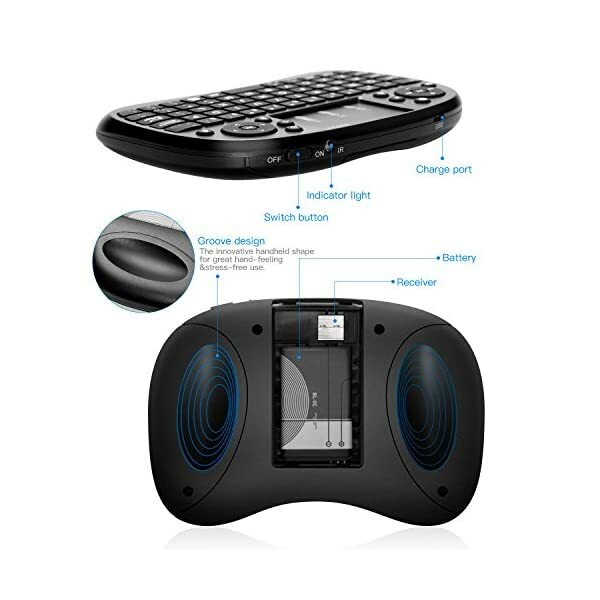 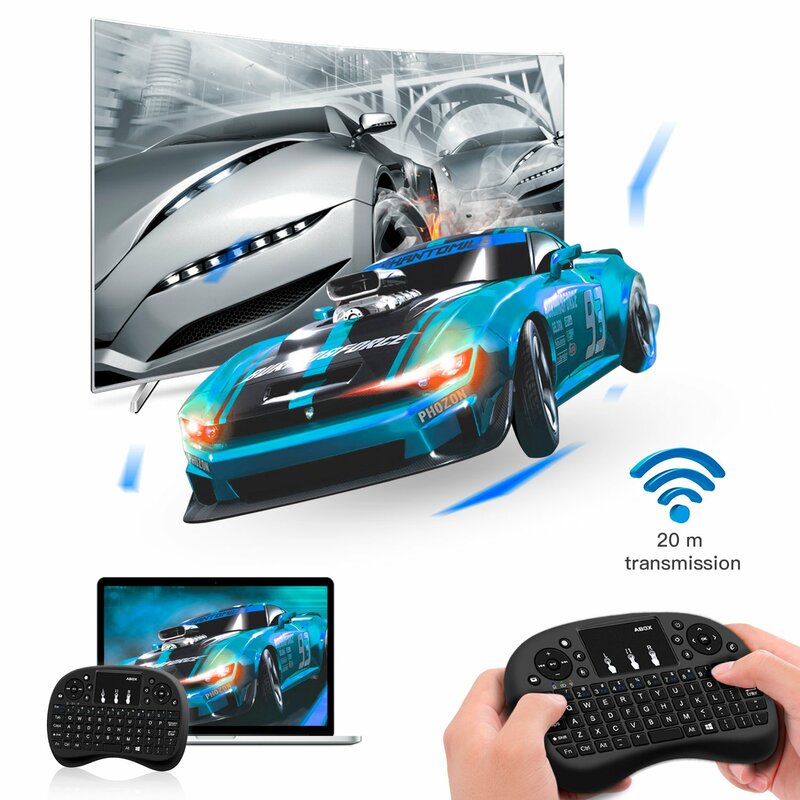  3-IN-1 WONDERFUL COMBO: Maximum operating distance up to 20 meters twice longer than common keyboards; Added innovative function of mouse wheel, easier for web browsering and documents editing; Built-in high sensitive smart touchpad with 360-degree flip design gives you full mouse functionality. 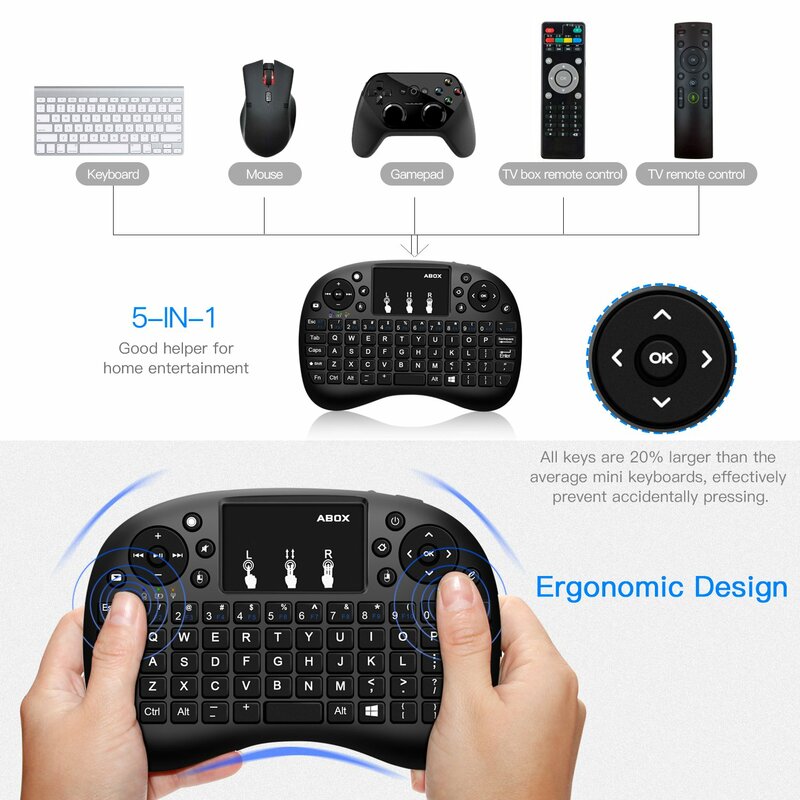  ERGONOMIC DESIGN: All keys are 20% larger than the average keyboards, effectively prevent accidental press. 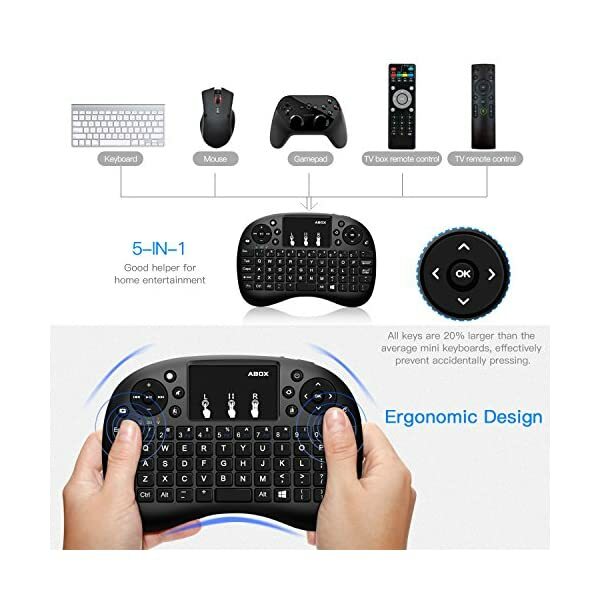 Its innovative shape and good tactile feel on the buttons, lower profile with firm clicks rubber on all the keys, fits comfortably in your hands and is easy to type on. 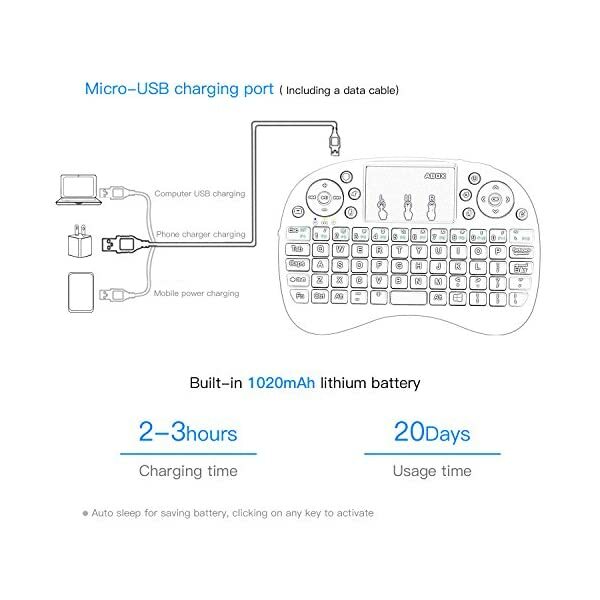  NO WORRY ABOUT STANDBY TIME: Built-in long lasting battery, 1020mAH Li-ion battery is rechargeable and removable. 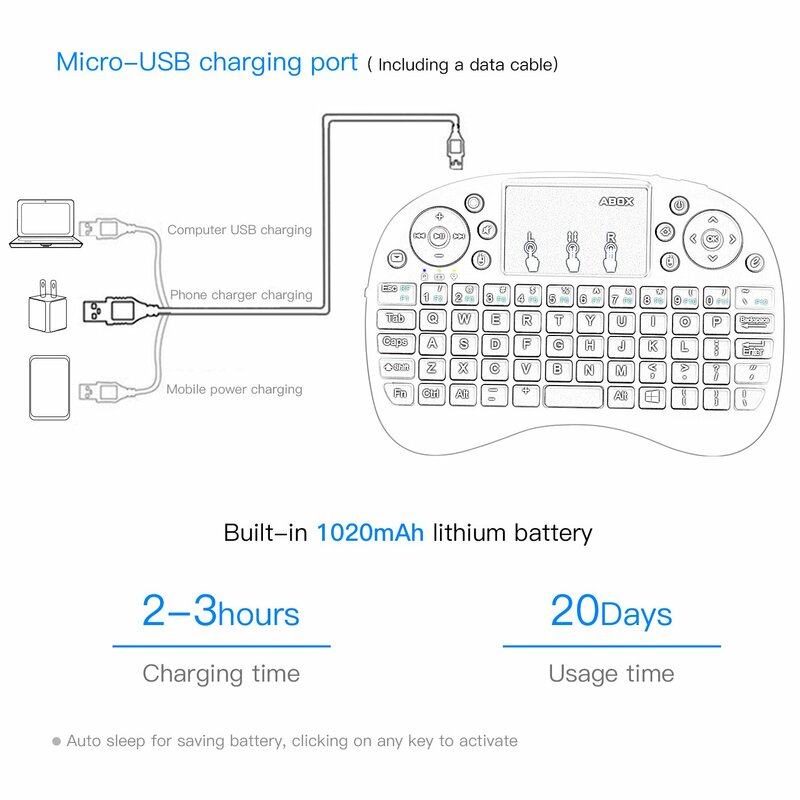 It will give you over 24 hours of use on one charge and no need to purchase battery over and over again! 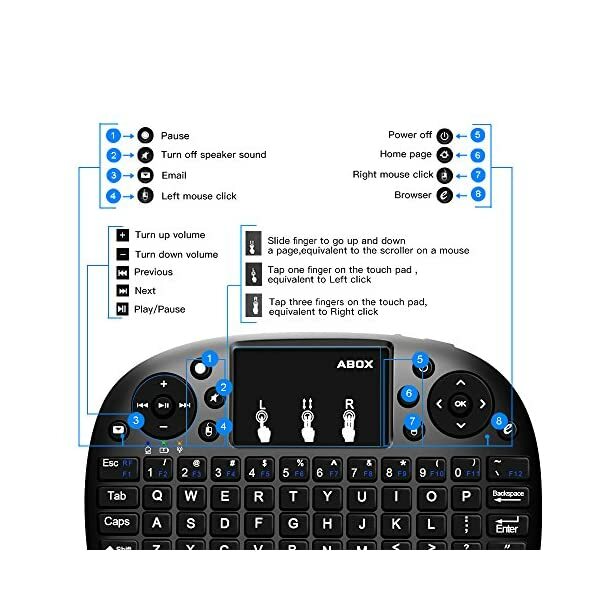  INTEGRATED MULTIMEDIA CONTROLS: Customized function keys offer convenient one-touch access to a variety of features, including shortcuts for home page, volume, play/pause, fast-forward and rewind, screen, return to the previous menu, etc. 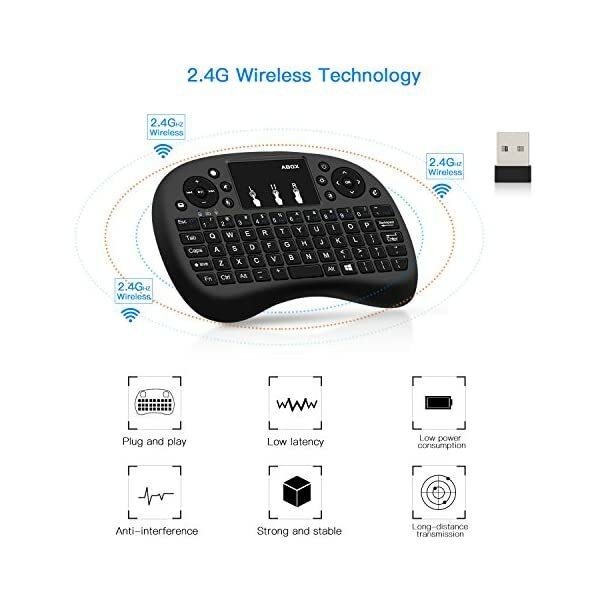  WIDE COMPATIBILITY: Compatible with standard operating systems such as Windows, Linux, Android. 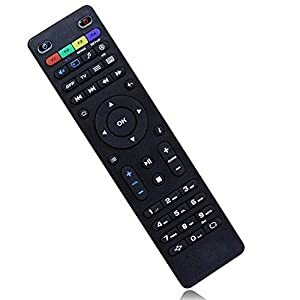 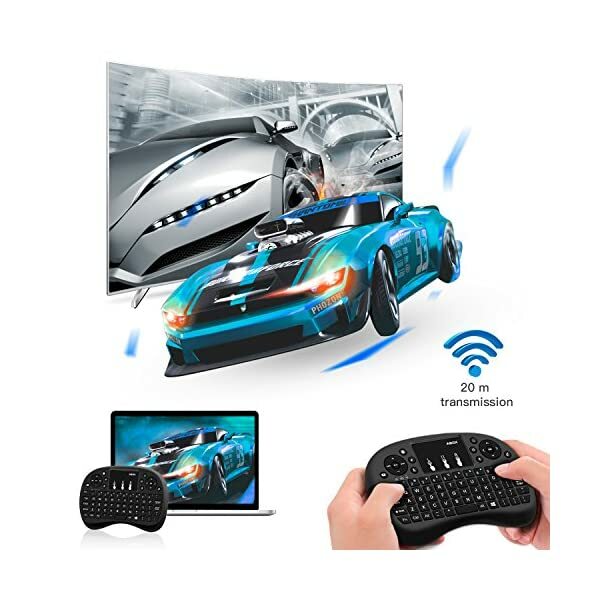 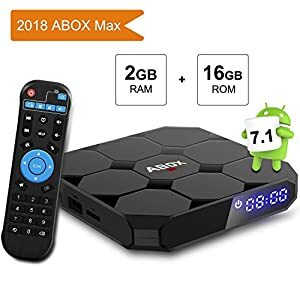 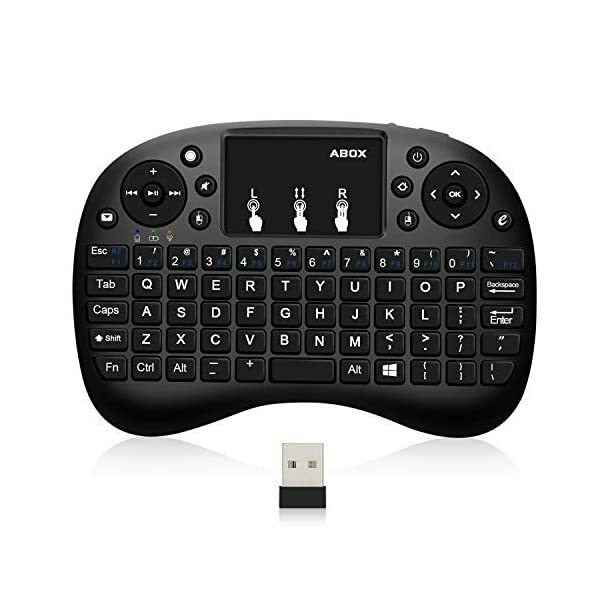 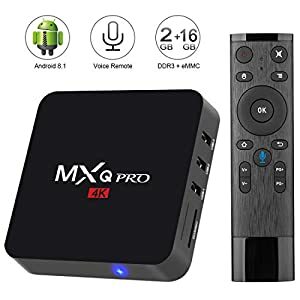 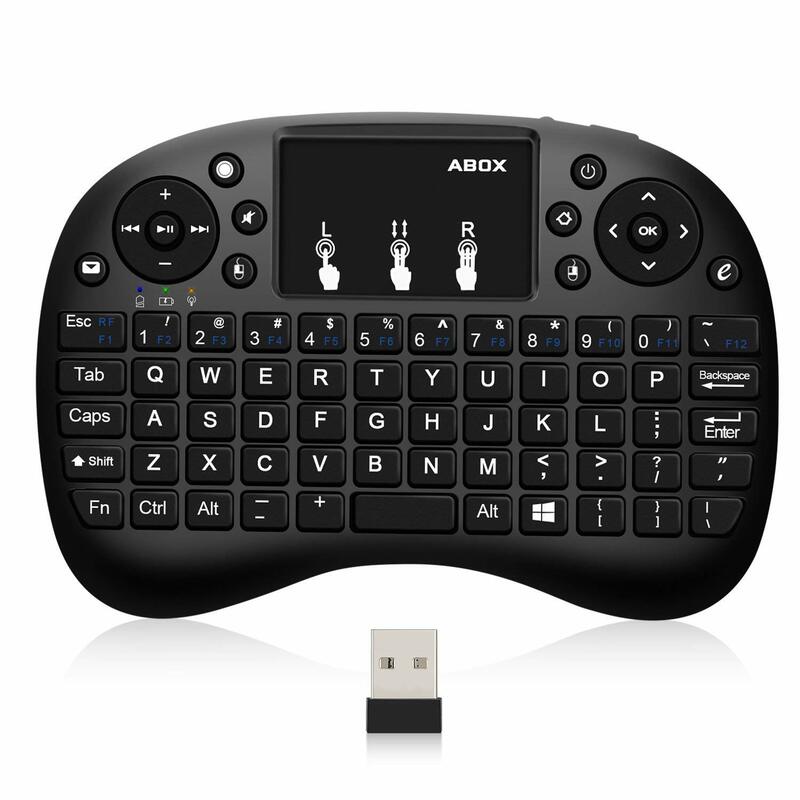 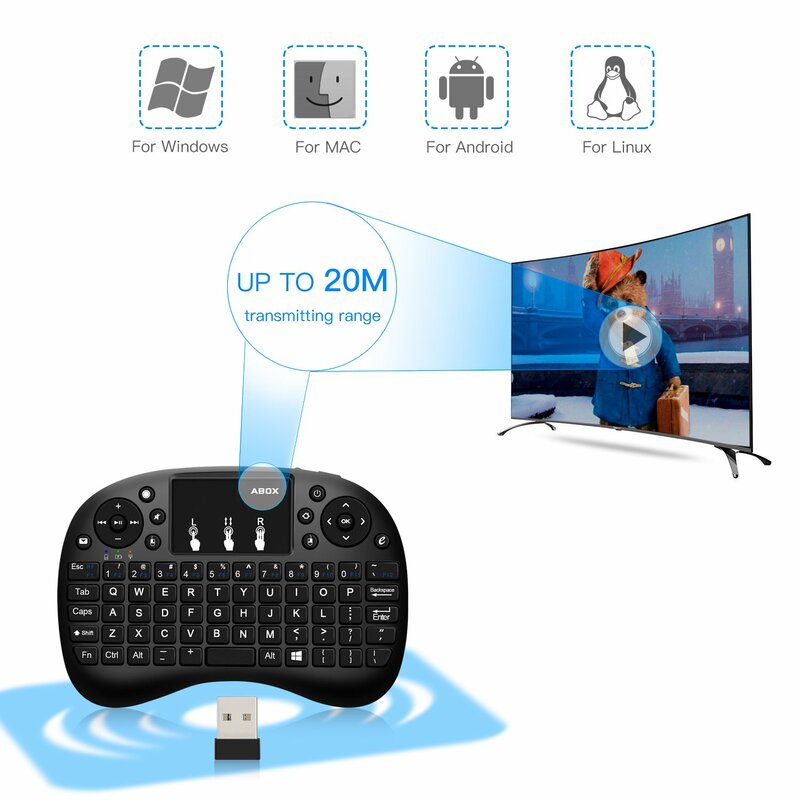 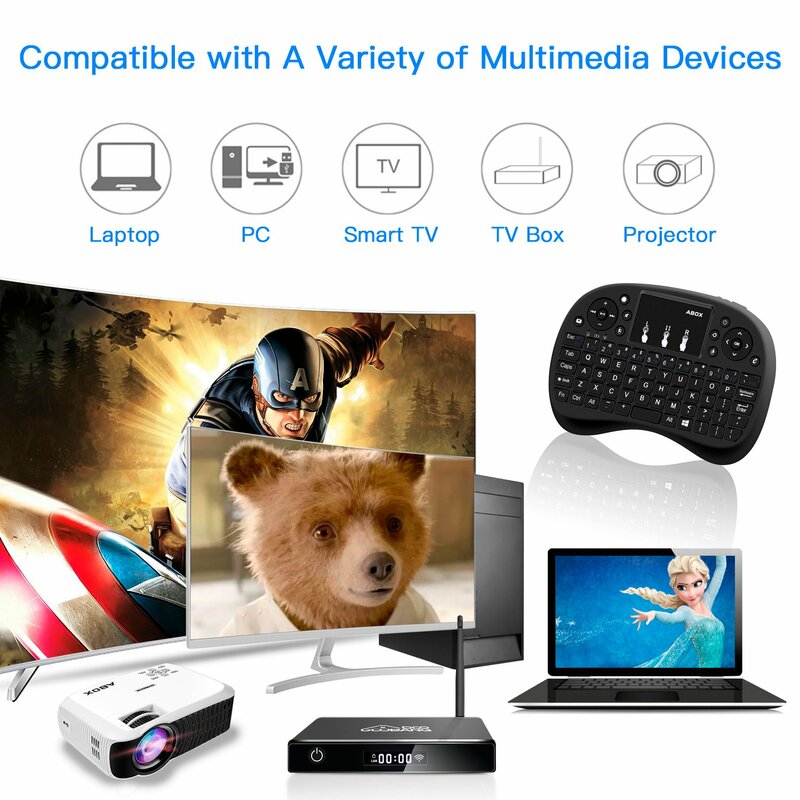 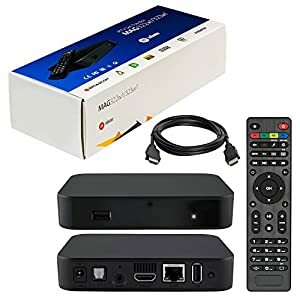 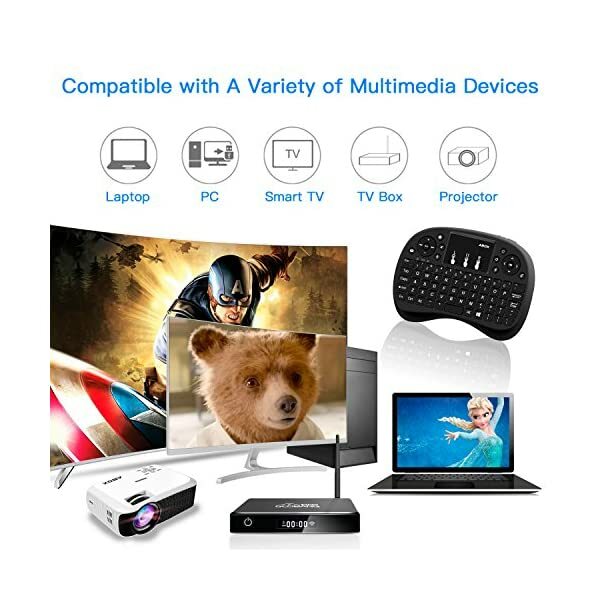 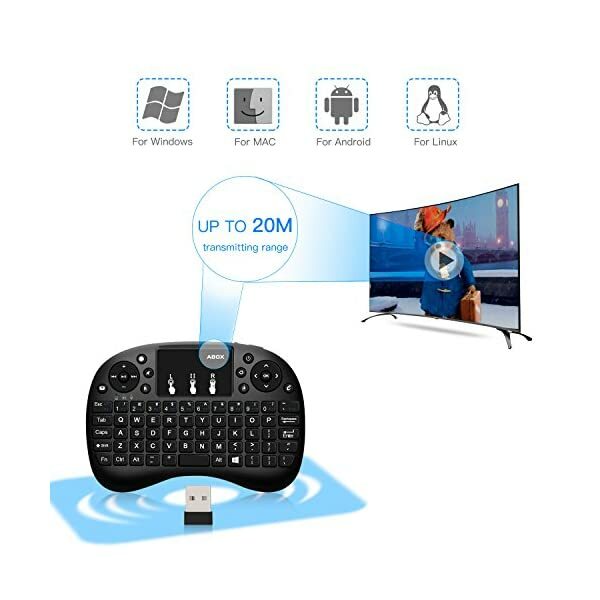 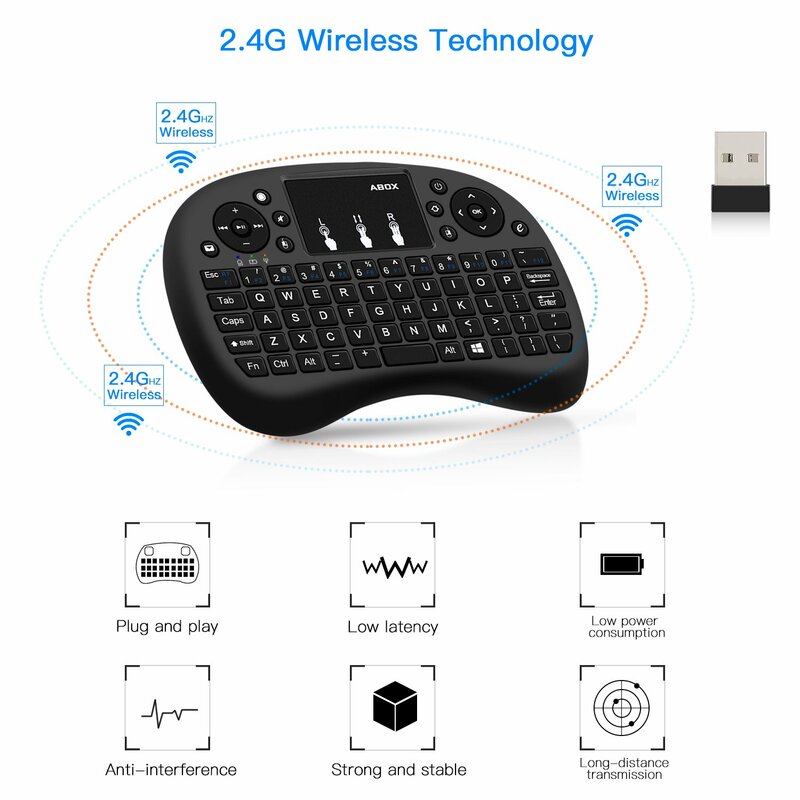 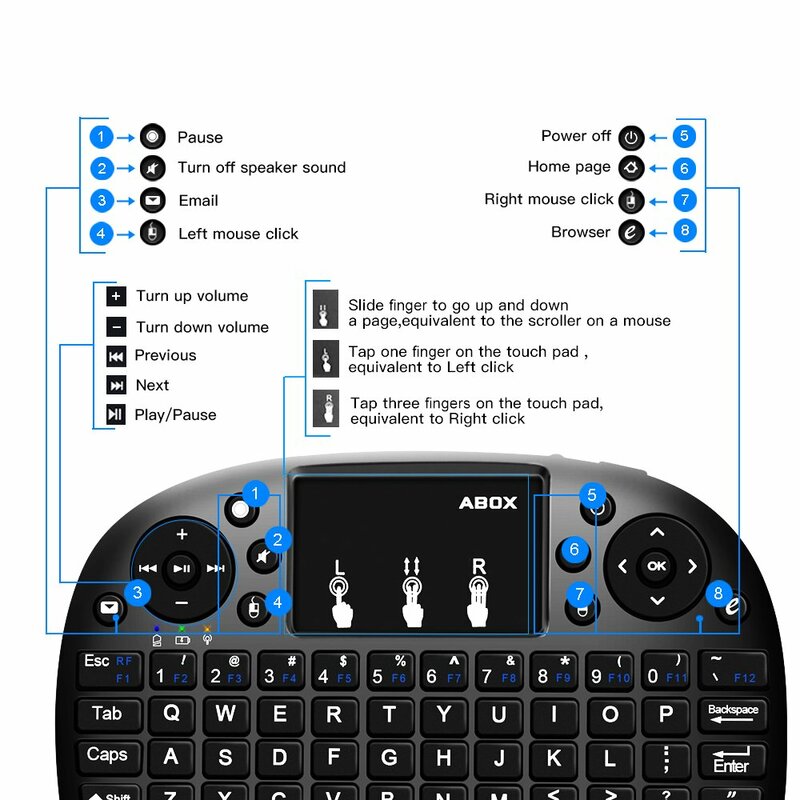 You can use the same keyboard across multiple devices such as your tablet, smart phone, smart TV, gaming console, Android TV Box, Xbox 360, PS3, HTPC, IPTV. 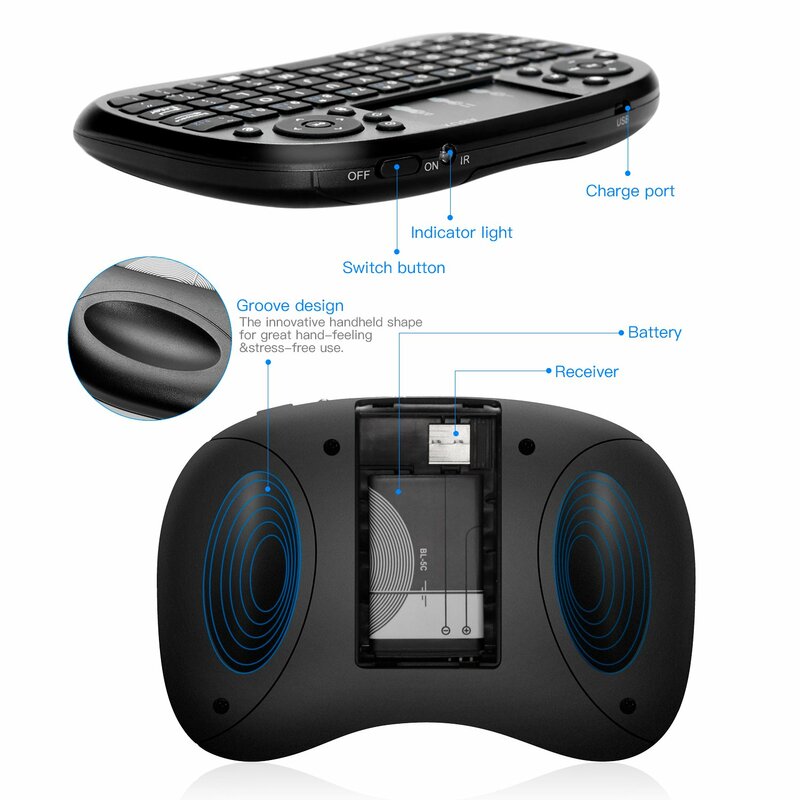 Wireless function enables you to move around without the annoyance of a cord strapping you to the device.